Scattered across the multiverse are infinite editions of every book you’ve ever read, each subtly different from the other. 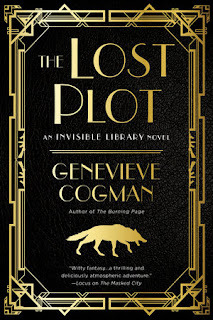 Finding them is the job of the daring librarians of the Invisible Library. In The Lost Plot, Librarian Irene and her assistant Kai are dispatched to Prohibition-era New York where they’re caught in the crossfire of warring mobsters, dragons, and Fair Folk.